It was around this time last year that Land Motorsport took delivery of its first Audi R8 LMS GT3. 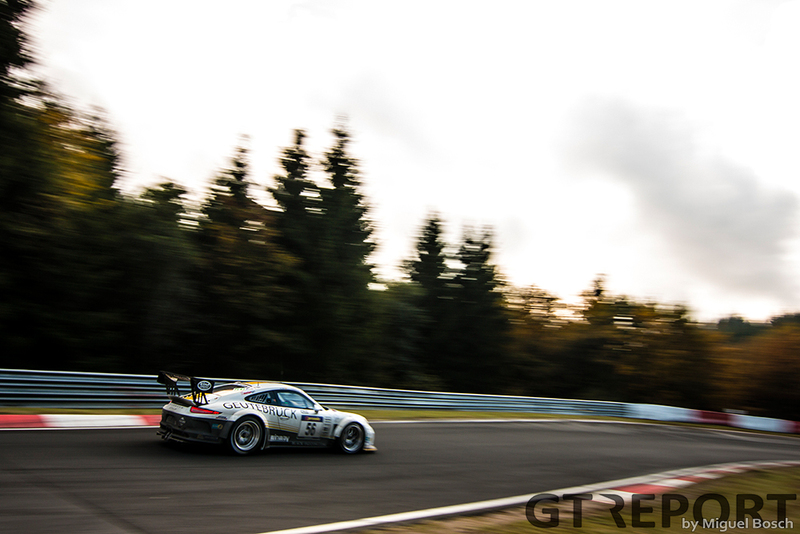 After seasons in the Porsche Carrera Cup sponsor Montaplast wanted to make the step up to GT3 racing. Wolfgang Land was happy to oblige. A year later the team has established itself at the top of the ADAC GT Masters, taking three titles in its debut season. 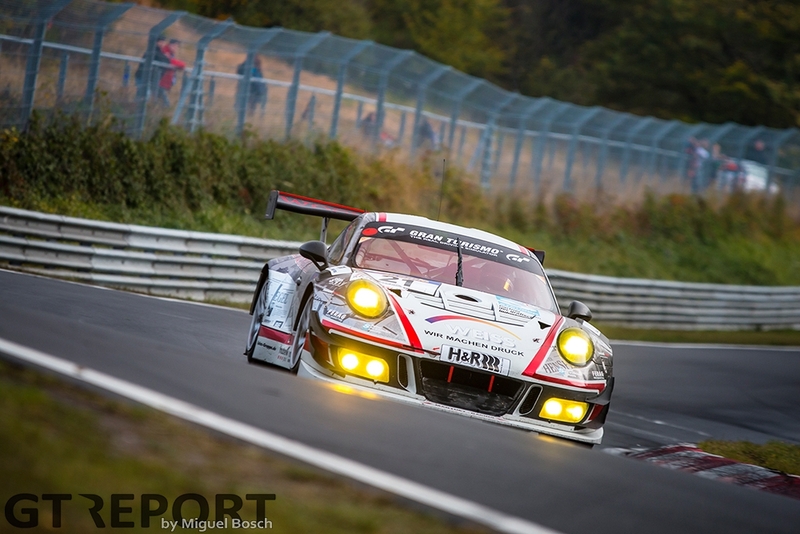 Back at the Nürburgring for the final days of the season a third race win and the Speed Trophäe title are about to conclude the most successful season ever for the crew from the small town of Niederdreisbach. In the dying daylight of Friday practice for the 41. DMV Münsterlandpokal, Land driver Christopher Mies took charge of testing duties, trying out slick tyres in the cold October weather. No one was happy with their tyres then and no one is happy today when qualifying gets under way. The temperature just isn’t there for the rubber to perform to their maximum in these cold and wet conditions. 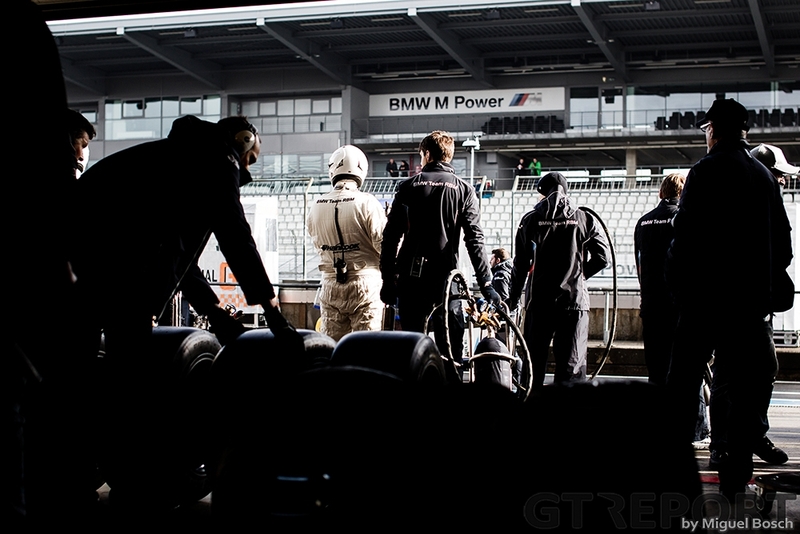 VLN newcomers BMW Team RBM struggle least of all. Jörg Müller takes the start from pole position and without the wall of water in front of him the BMW M6 GT3 is gone by over ten seconds at the end of the first lap. Müller’s lead is gone second time by. 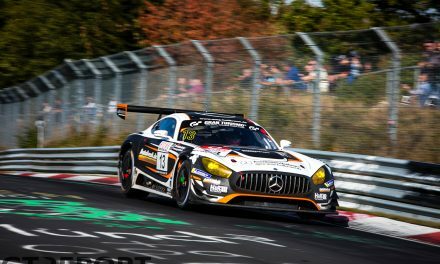 Lance David Arnold in the Haribo Racing Mercedes-AMG GT3 was passed by Frank Stippler in the Phoenix Racing Audi R8 LMS GT3 and Mies in the Land Audi at the start, but is determined to retake second place. The thrilling three-way battle in the opening minutes ends when Mies goes past Stippler at the start of the second lap. Arnold, too, is eager to make the pass. Arriving at the Hatzenbach esses he forces his AMG next to the Phoenix Audi and goes through. 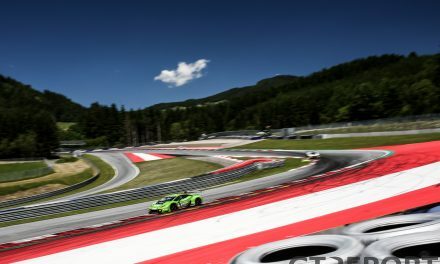 Following in the spray of Mies’s car, the former AMG works driver soon passes the Land Audi as well and finds himself back in second place before the end of the lap. 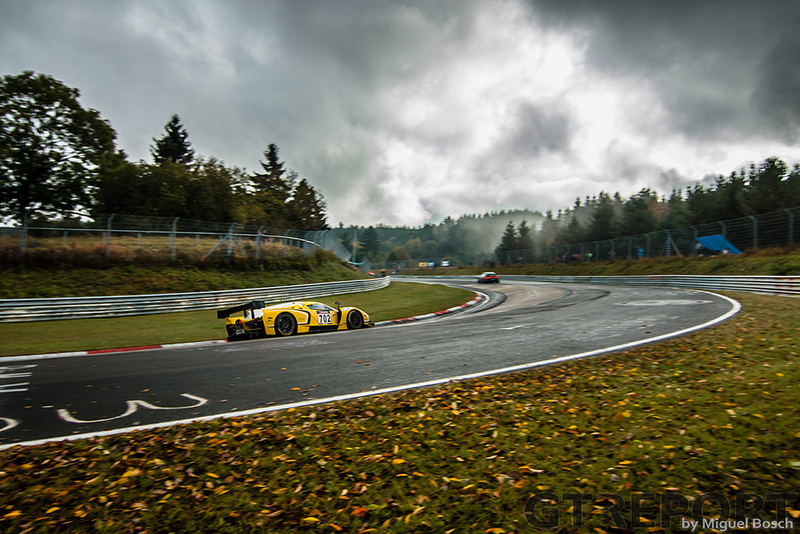 The way is now clear for the Duisburger to start reeling in Müller at an unrelenting pace, closing the gap on the second lap and when turning onto the Nordschleife for the third time today, he takes the lead. After having dropped to second, Müller keeps up with Arnold’s high pace, setting the fastest lap of the race up to that point when the heaviest of the rain has stopped. Despite his speed, Müller is playing it safe, knowing that whatever he does, he can’t crash the loaned M6. “It started to dry out a little bit,” BMW’s works driver says. “The most important thing for us was to not damage the car. We raced BMW’s test car and it has to go to testing tomorrow. I drove to what the car gave me and I drove safe. Mies, racing on Michelin rain tyres, needs a couple of laps to get up to speed but once the rain has stopped he too goes past Müller after a short but fierce fight on the Grand Prix course. First to take the gamble to go on slicks is RBM. It’s a daring move to try and not do an extra pit stop solely for a tyre change. Despite the sun now cracking through the clouds, it’s still too wet. Müller is slipping and sliding on the damp tarmac, looking for every dry patch of road. 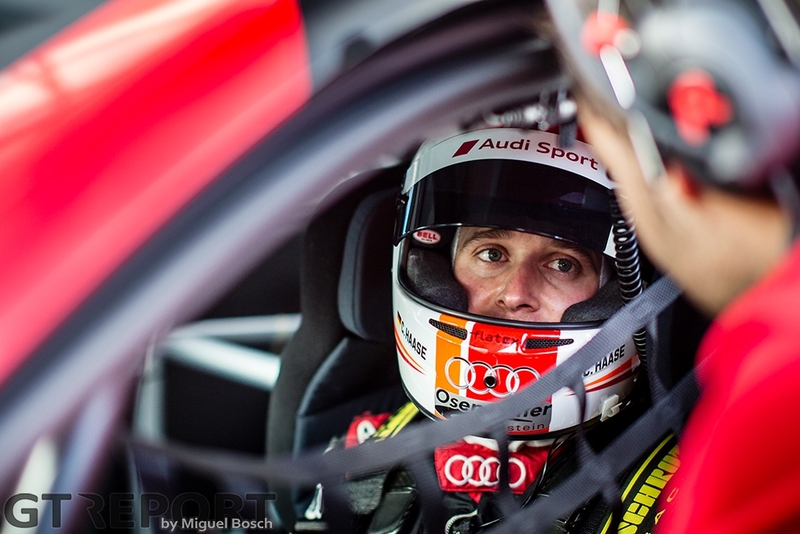 “I was discussing with the team to go on slicks,” Müller says. “It was a tough decision because the Grand Prix circuit was completely wet and if you can’t trust the tyre, if you cannot make the tyre work, it’s very difficult to drive. “We decided to go on slicks and the first two laps were very hard. The car was really snappy and nervous as it was still too wet for slicks. I was slower than when I was on the rain tyres and that cost me something like a minute during those two laps. But I kept the car on the track, that’s the most important thing. As the halfway mark approaches De Phillippi has taken over from Mies and been tasked with conserving fuel. 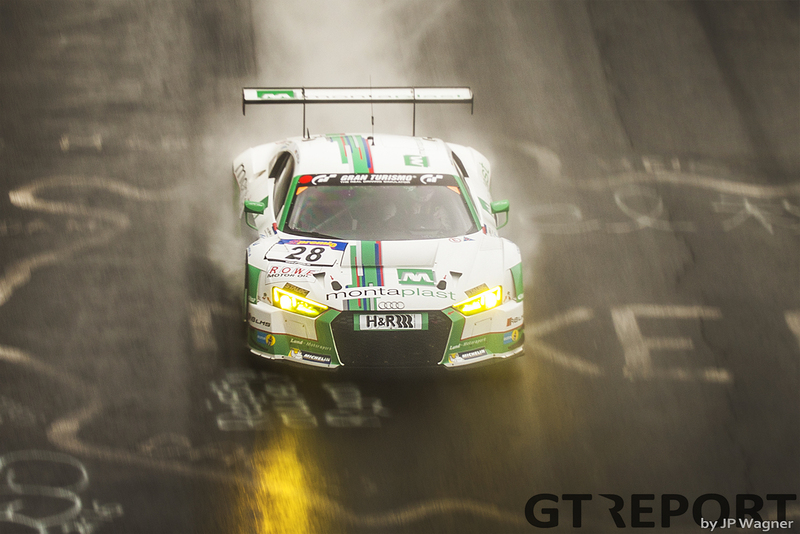 Unlike the other front runners, however, De Phillippi is still running on wet-weather tyres on a drying track. To wait with changing to slicks as long as he does seems like a mistake at the time, but the strategic play turns out to be the defining moment of the race. At Haribo Racing a drivers change has taken place as well. 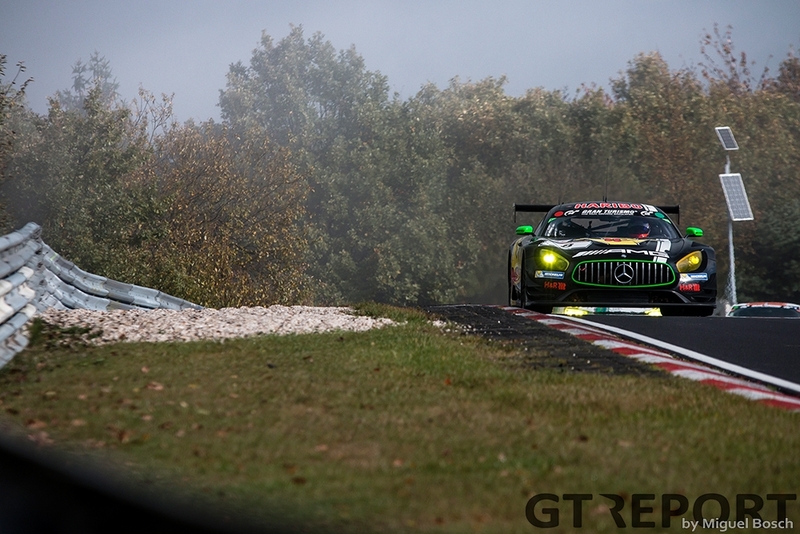 Uwe Alzen is behind the wheel of the Mercedes-AMG and in the lead since De Phillippi went for slicks. Fearless as ever he works his way through traffic, with Müller closing in. Seventeen laps are on the scoring board when Alzen starts to make mistakes under pressure. Coming out of the Veedol-Schikane the Haribo driver loses the back of the car and spins around. Müller watches on and picks his way through into the lead. Frustrated, Alzen continues his way. Dead set on not giving up his bid for the win he rejoins the by traffic delayed Müller on the approach to Quiddelbacher Höhe, mere kilometres from where he spun. The Nordschleife veterans stay together until the town of Adenau, but that’s as far as Alzen can follow. Exiting Ex-Mühle he strays too wide and loses control on the wet grass. His effort to correct the AMG is to no avail as he slides across the track and into the guardrail, forcing the two-time winning car into retirement. Freed from Alzen’s pressure, Müller immediately pulls into pit lane for Nico Menzel to take on the last stint. 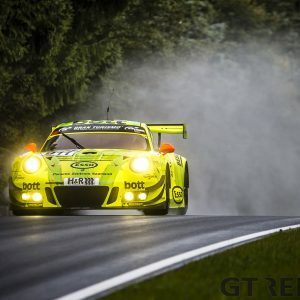 The son of 1998 24 Hours of the Nürburgring champion Christian Menzel is unable to close the three-minute gap to Land in the final hour of the season, but not for a lack of trying. Menzel is amongst the fastest on track, but not as fast as De Phillippi and Mies. “I’m really, really happy with Nico,” Müller praises his 18 year old teammate, “he did a fantastic job. 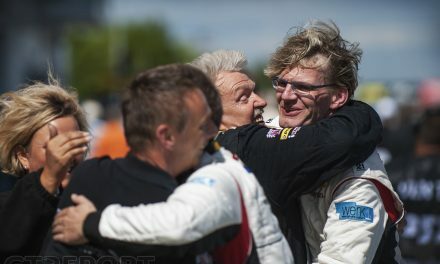 It was the same for him as for me: He had to bring the car back to the finish in one piece. And that’s what he did. 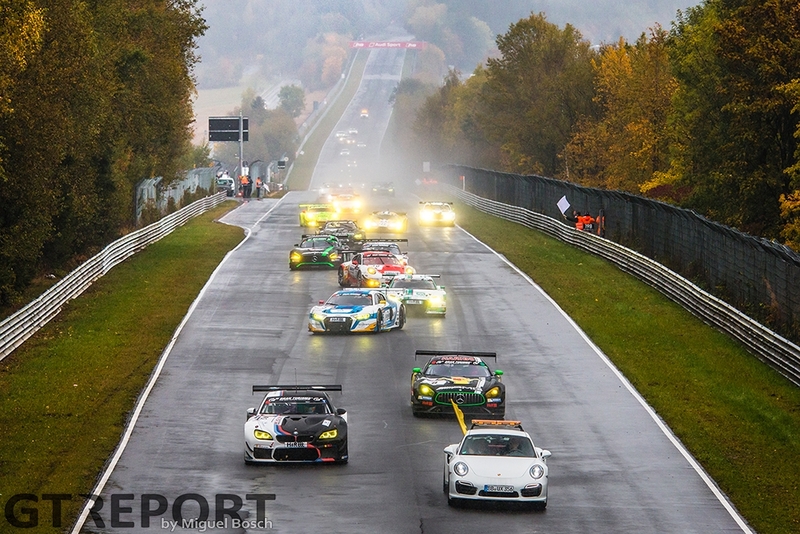 With the win Land Motorsport takes its third victory of the year in VLN, more than anyone else. 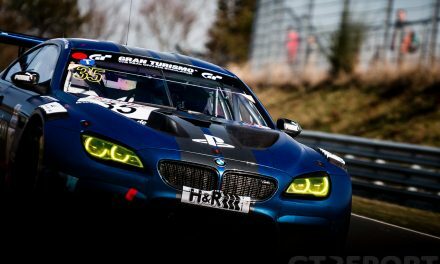 As Haribo didn’t score any points, Land is also established on top of the charts in the Speed Trophäe, VLN’s outright championship. Looking back on the season it’s been one that was close to perfection. 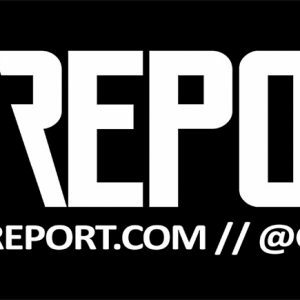 “You can’t really do much better,” De Phillippi reflects. 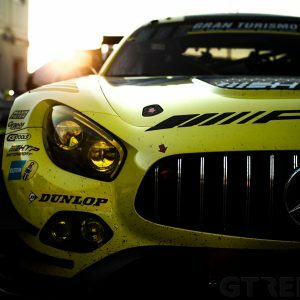 “The only thing we missed was winning a big endurance race like a 24-hour race, but we only did one of those this year. Next year we’ll have a few more on our calendar and the goal then is to try to put a big endurance title to our name. “I think [the key to the success] was that we just functioned so well this season as a team. We can say that we learned every time we were on the race track and improved every session no matter if it rained or if it was dry. And that is what made us tough to beat. We already started out on a good level and throughout the season we improved.